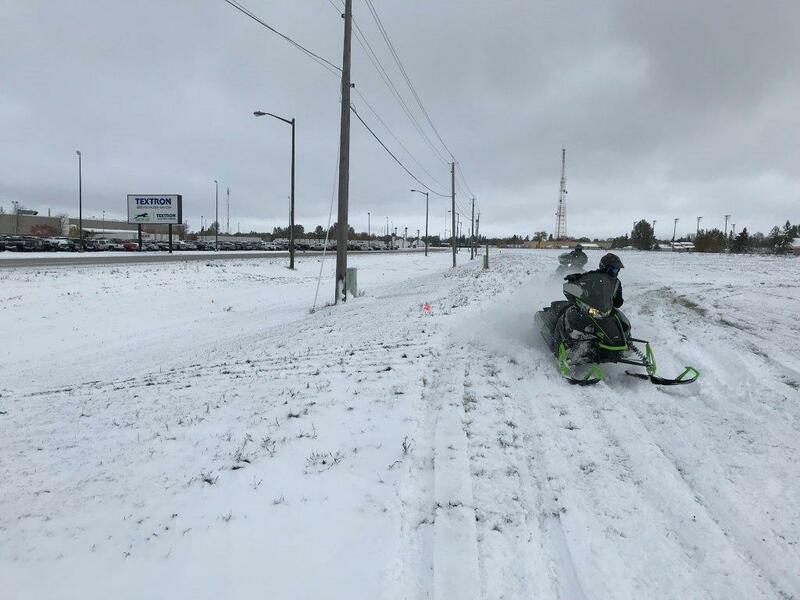 Blessed with a few inches of fresh snow and a projected high of just 31 degrees, Arctic Cat engineers got an early jump on winter today by laying down some tracks in the ditch outside of the factory. 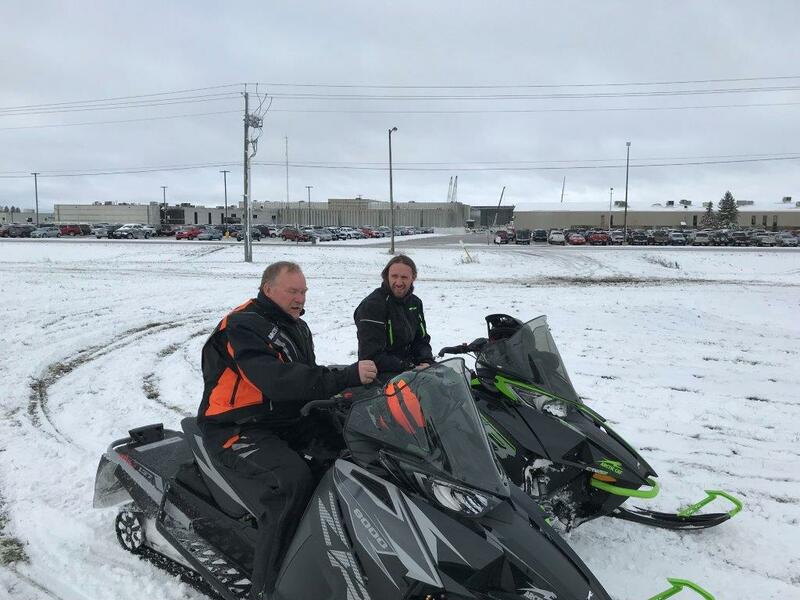 Piloting just-built 2019 ZR 8000s, Jeff Olson and Wes Selby are spending the day breaking-in some of their test units, gettiing the sleds through Stage One of the procedure (wonderfully ironic in light of yesterday's post) so they're ready for bigger days ahead. 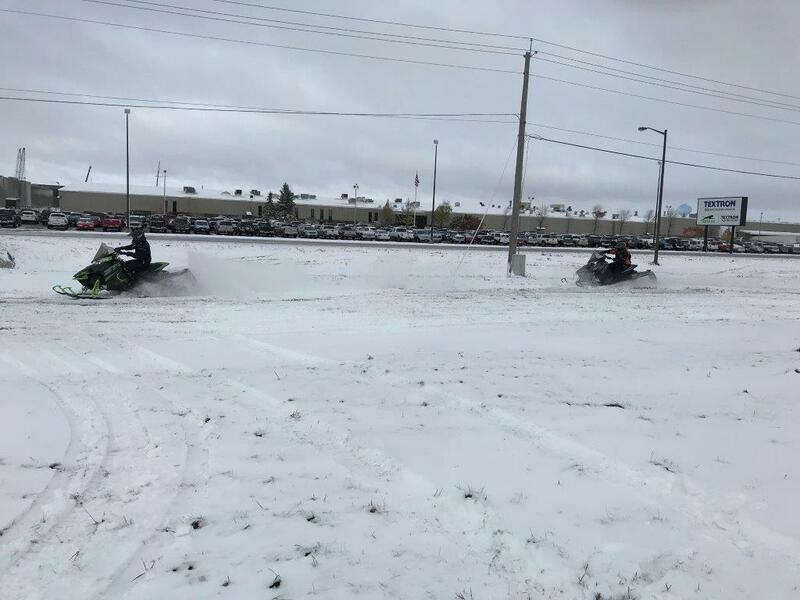 Snowmobile tracks in fresh snow in TRF on Oct. 11...just like that, everything's right in the world! Thanks to Joey Hallstrom for the sweet pix! 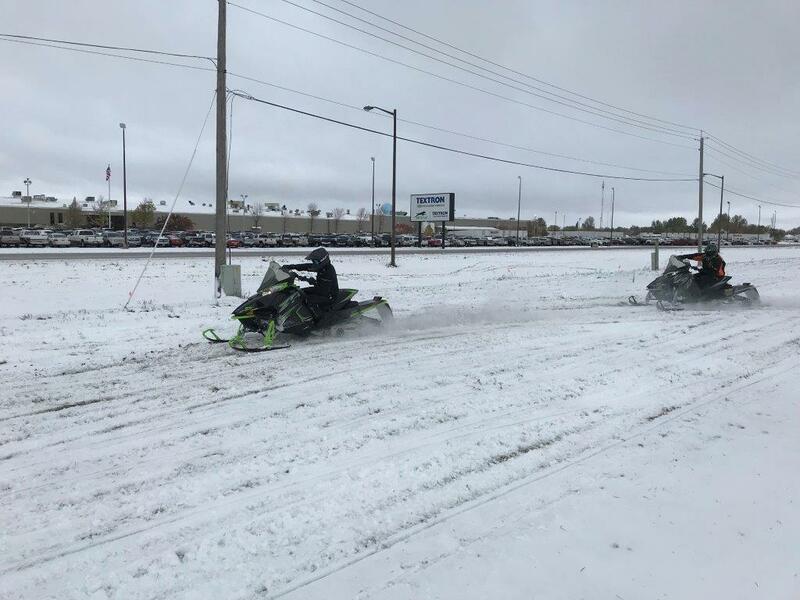 The view from inside of Arctic Cat. 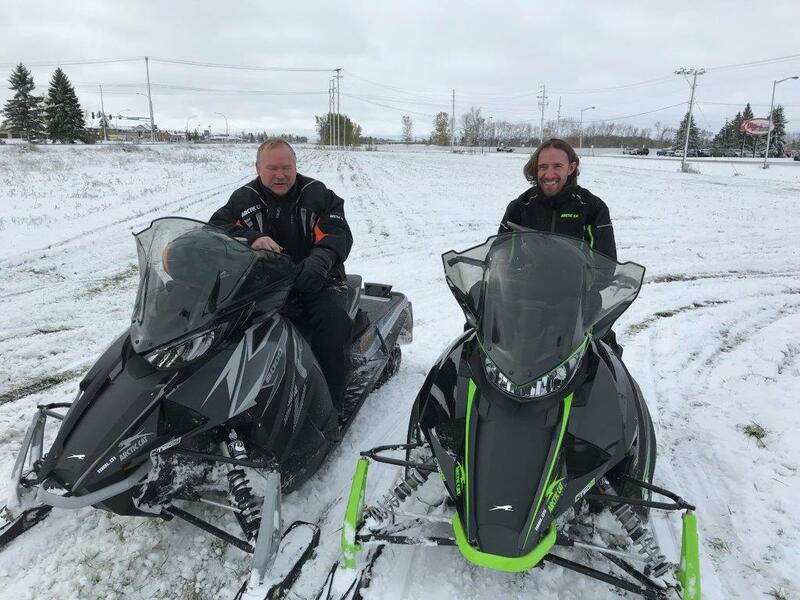 drove up in it duck hunting, loved every mile of that fresh snow! call me different i cant wait no humidity, no heat, no mosquitos, no tourons, winter is on it's way i hope! 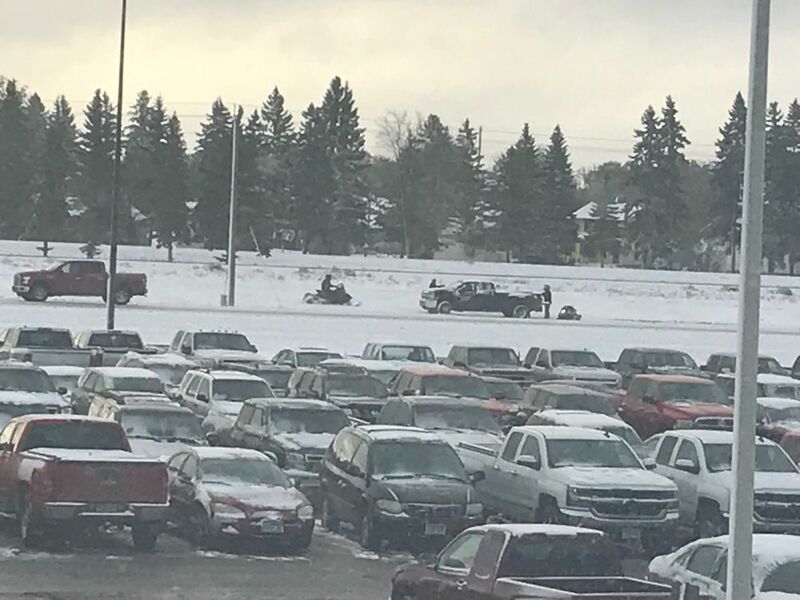 pray to the snow gods! i go some old and new cats that want to get outof the shop!